Hi friends, I was prepared this pulao somedays back but couldn't post it till yesterday. N now its getting time to reach you, which is very simple and delicious pulao and its very need for one who s craze in street food or spicy food from outside... N that can be prepared on our home. I really enjoyed the pulao. Tawa pulao is a very popular dish in India and especially as street food. The dish is made of saute rice with large number of vegetables and spices. The spice is pav bhaji masala to the rice is highlight and enhance the taste of the pulao which is consists of many spices. The tawa pulao is served hot and garnished with cilantro leaves. 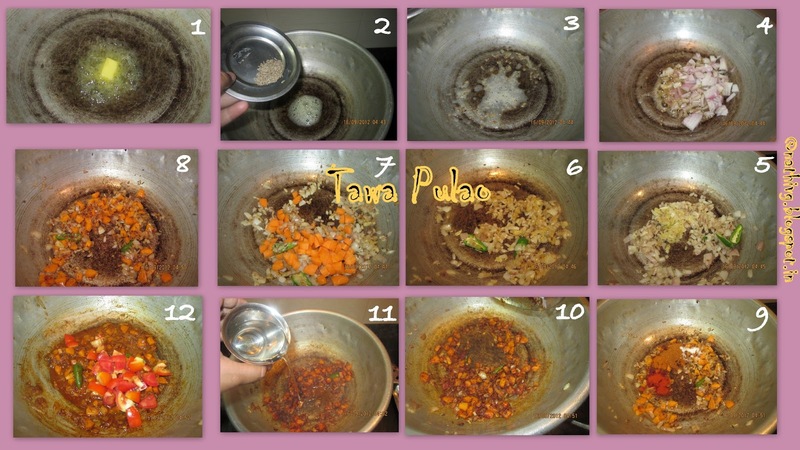 The whole process of cooking in a hot tawa thats why we called it as Tawa Pulao. 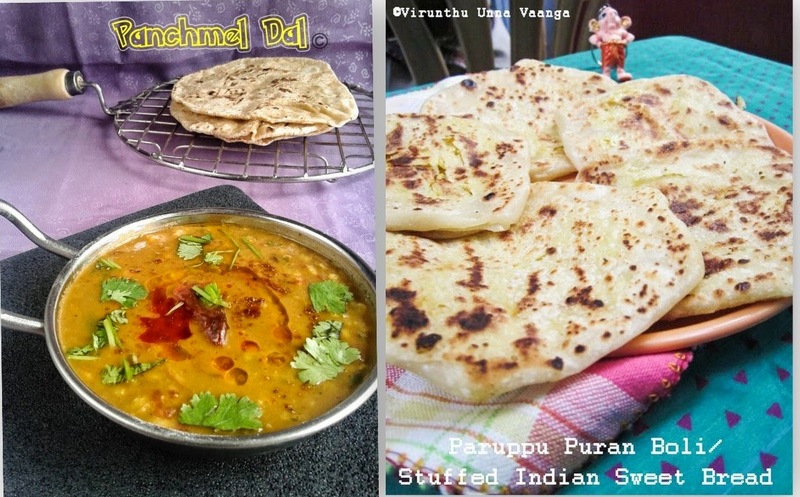 Well, I have never been to Mumbai nor tasted the pulao but I heard the pulao in TV shows and got inspired to try on my hands and referred many sites to do it and I proceed it with some alterations. And which is very suits for lunch box too. Heat tawa on medium flame, add butter and oil (adding of oil will prevent the butter from burning) and add cumin seeds wait it for splutter. Add onion fry till turns translucent. Following that add garlic and green chilly fry for 1 minute. Add carrot and saute for 2 minutes. Add red chilli powder, curry masal powder, pav bhaji masala powder and salt saute it till raw smells goes. Pour 2 Tbsp of water into it and cook carrot and masala. Add tomato and fry till it turns mushy and cover it with lid for 5 minutes and allowed to cook on low flame. Now drizzle the cooked rice little by little to avoid the forming of lumps. Stir well for 2 minutes to absorb the masala into the rice and switch off the flame. Garnish with coriander leaves and serve it hot. 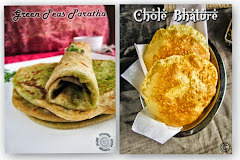 Are you craving for street food with spicy??? R u alone for the lunch/dinner or feel lazy to do new things... Then this is for U??? Try it out n enjoy!!! Check out other rice varieties here!!! yummy yummy pulao.want to grab whole plate. Healthy and wholesome lunch box idea. I saw this recipe on Sanjeev Kapoor's space. It is a very flavorful rice and you made it perfectly dear. tempting pulao viji.. nice preparation dear..
tawa pulav is really looking yummy and delicious.....and easy tooo..i too prepare such kind of pulav many days for lunch.....because i am alone for lunch....looking good..
My kind of food, love this one pot meal. Delicious n yummy rice !! 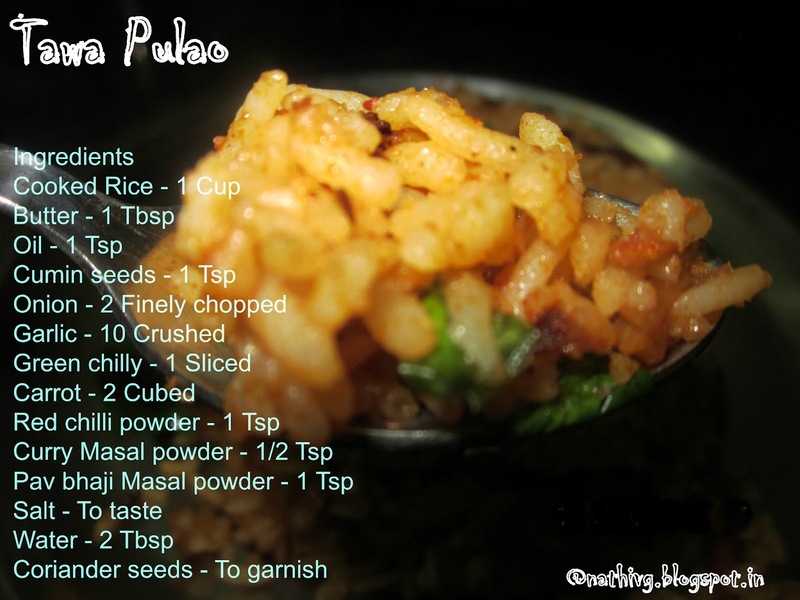 this is one of my fav pulao...looks too inviting Viji! Very nice pulav. looks yummy! Delicious and flavorful.. Wish i could have it now..
Really quick and easy one Viji... Love this Tawa pulao... Great match for any party. Thanks for Sharing. 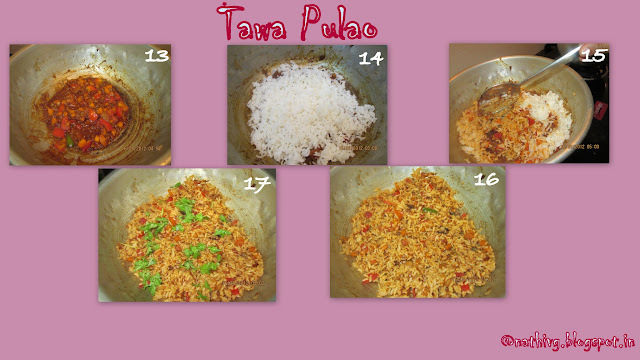 I made this just last week they r so yummy right.I love tomato pulav. Easy peasy lunch box one pot meal looks so yummy.